Energy efficient and modern, Cerno's Abeo LED pendant light boasts a dark stained walnut finish, wood body, stylish frosted shade, and is handmade in Southern California. Cerno's Abeo contemporary LED pendant light is the best way to add some geometry to your space. Complete with a dark stained walnut finished frame and frosted shade, it lets light inside around floating walnut planes. Handmade and eco-friendly, it's a purchase you'll feel good about. The dimmable LED bulb is included. Designed by Nick Sheridan. Made in the U.S.A.
15" wide x 15" deep x 11 1/2" high. Square canopy is 4 1/2" wide x 1 1/4" high. Weighs 7 lbs. Includes 6 ft. field-adjustable cable. Sloped ceiling adaptable. Built-in dimmable 13 watt LED engine: 1250 lumen light output, comparable to a 75 watt incandescent bulb. 2700K color temperature. 90 CRI. Dimmable with electronic low voltage or TRIAC dimmer. Must be used with included external LED driver. 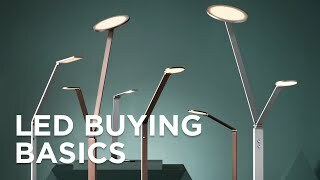 Abeo contemporary energy-efficient LED pendant light from the design studios of Cerno lighting in California. Dark stained walnut finish. Handmade solid wood construction, wood grain will vary. Frosted polymer shade. Eco-friendly and made in the USA. Cerno&#39;s Abeo LED pendant light comes with an oiled walnut finished walnut wood bodyfrosted polymer shadeand stylish shapewhile also being energy efficient.